So today I have been super busy with a project I'm working on and quite frankly, I did not have time to prepare a review. I love doing different things on here so I decided to ask on my Facebook and Instagram for questions so here goes with the answers! What's your favourite treatment to do and to have done to you? I love to do anything on toes! Does that surprise you?! They're the biggest transformation because they're the hardest to reach so I love to shape them and add colour perfectly. As for treatments on me, it's rare that I get anything done. I do my own fingers / toes and my husband does my spray time (free labour!) I love to get a curly blow and have my hair put up in pin curls though. I currently have an arrangement with a hairdresser where as I do treatments for her and she gets my hair curly! How do you decide what products to try out and then use on your blog? I don't really, I will literally put up on here whatever I buy as long as it's easily accessible for people to buy if they want to. Whatever I buy will eventually get it's own review on here, even if I couldn't stand it as I think that people need to know! 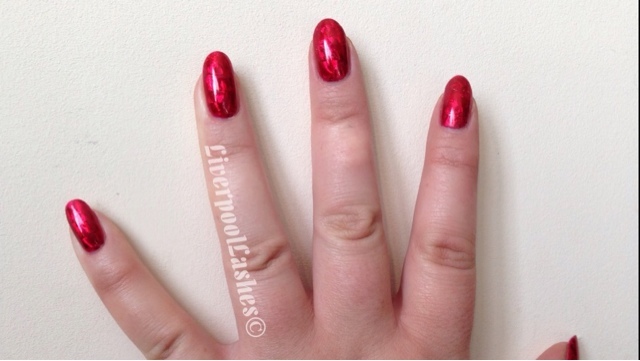 How do you eliminate fluff when doing shellac/ gel Nails? Ahhh don't you just love fluff? I'm kidding of course. I use lint free pads however I do often still see the occasional odd bit of fluff. To be honest, I'm not entirely sure there is a completely fluff free product out there but I just try and be super vigilant with removing them. I find my clients will often tell me as they can see them against my black uniform. What is the most shocking thing a client has ever told you?? The other was a lady telling me that she had gotten herself a job doing nights. I congratulated her as the last time I saw her she was saying how down she was about not working, then she told me it was on a late night chat line. She then proceeded to tell me the type of things she says to the men that phone up, how she makes it sound like she's spanking herself and various things that I really, really can't say publicly. Who's your favourite nail guru? and who inspires you the most? That's a difficult question. Back in the day I used to watched You Tube videos and gain ideas and techniques from that. Now I just don't have the time to watch nail videos although I still watch beauty videos while I get ready in the morning. I'm going to name a few that I like the work of, although there are many more... Linda165 (You Tube) Pelorus_Pinkies (Instagram) therealmrsgrey (Instagram) jojosnails (Instagram) thenailboss (Instagram) leahlightnailsandbeauty (Instagram) There is a lot more but these are the first ones that I can think of. ok.. I'll go with the traditional questions..that will spark the deeper questions. How old are you? How long have you been married? How was the proposal done? What does he do for a living? I am 29 years young (clutching on my twenties like a cliffhanger moment!) I have been married for 6 years in October. He took me to Paris when we had been together a year and proposed under the Eiffel Tower. He works for a mobile phone network trying to save customers from cancelling their contracts which he's very good at but he wants to become part of management there. When it comes to your makeup inspirations, what other You Tubers do really follow or get recommendations off? I watch a lot of You Tubers that everyone will know. I used to search around for the hidden gems as there are plenty of good channels with less subscribers, but I just don't have the time to do that anymore. I like to watch the UK You Tubers as obviously they're going to talk about products I can get hold of but then as I typically go over to the States once a year, I will watch the US You Tubers and make a list of everything I want! UK You Tubers: Gh0stparties, Gemsmaquillage, Fleurdeforce, Tanyaburr, Essiebutton, Emma Pickles (excellent tutorials) Viviannadoesmakeup, Lilypebbles, Pixiwoo, Talkbeckytalk, Twinklelashes, Gossmakeupartist. I actually can't think of any more right now but hopefully I've given you one or two ideas. What summery colours on acrylics do you recommend please? And patterns? Peaches, oranges and corals! Probably with some floral designs, some sort of metallic design or chevrons in a striking white! ahhhh!! What's the funniest/embarrassing mistake or experience you had as a new nail tech? I'm trying to think of something, I know I would have had them! I can't of one specifically but I'll run through a few things.. I did a few mobile appointments, one of which was Shellac toes where I turned up without nail clippers. I felt like such an idiot. I've also forgotten my Shellac Base Coat and Top Coat. I have to take my hat off to all mobile therapists because the stuff that you are to constantly check you that you have with you is unreal, although these were obvious! Twice I have been mortified because I have been at two different brides houses doing their wedding nails. Both times I had told them to open the window to get rid of the vapours of acrylic liquid. The first time was when I was still a student and the bride's father came into the room and went mad at the smell. The other time the bride's groom came stomping in and made a big scene shouting 'he couldn't have the kids sat in this stench' and stormed out with them. I felt terrible although it was their choice to have a mobile service. What 5 beauty products could you not live without? Ooooo tough one as there are quite a few loves!! I do hate saying this one as it's Canadian only but I adore my Lise Watier Portfolio Professional Correction Wheel. It's the perfect concealer and can be mixed together to get your exact shade. 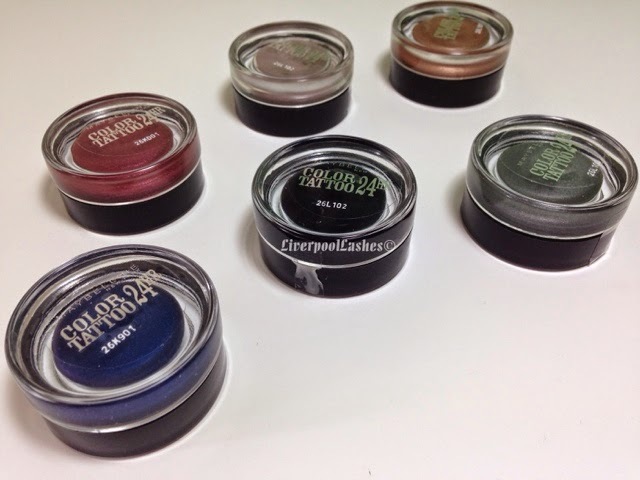 I love my Maybelline Color Tattoos as I always wear eyeshadow and they act as a perfect base for them. I love my Rimmel Match Perfection Illuminating Concealer, beats the YSL Touche Eclait hands down. Soap & Glory Archery Brow Tint and Pencil is the best brow product I've found which I use with my last favourite product, Maybelline Brow Drama Sculpting Mascara which helps keep them in place. I hope you've enjoyed reading these answers! Please follow me on facebook for your chance to ask questions next time!